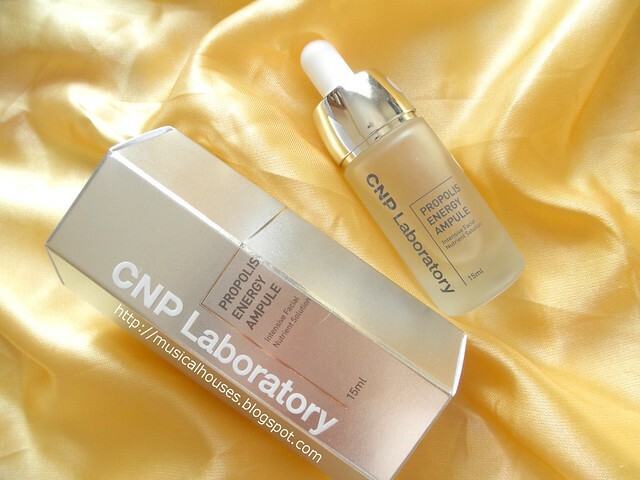 CNP Laboratory is a Korean skincare brand that boasts that it is started by doctors, and has an emphasis on skincare science - now, doesn't this sound like the kind of skincare brand I would like? So of course, as a beauty blogger who's into the science and geeky stuff behind skincare, I felt like I just had to review at least one of their products! CNP Lab's most famous product is their Propolis Energy Ampule (yes it is spelled "Ampule" not "Ampoule" - apparently "Ampule" is an acceptable spelling of the word, but the lack of an "o" in the word just throws me off when I'm reading it visually), so naturally I figured I'd start with this! The CNP Labs website claims that this prooduct "contains Propolis extract also known as Honey Essence, it is well known for its antioxidant and moisturizing benefits". Interestingly, though, although CNP Labs calls propolis "honey essence", propolis is actually not a component of honey - it is instead "a natural resin produced by honeybees" that is used to build their nests. The product also contains Hyaluronic Acid too, "to maintain firm healthy glowing skin". Looking up some online retailers, I found out that the product has 10% propolis extract. So now that we know what we're looking at, let's start dissecting this product, and taking a look at its ingredients! But first, I thought we should take a closer look at propolis, because, after all, it comprises 10% of the product and is the advertised ingredient. In particular, does propolis have a use in skincare? Is it beneficial to the skin? What effects does it have? Propolis: What does the science say about its role in skincare? On one hand, there are some studies that indicate that propolis, when applied topically, may have some benefits, due to its anti-inflammatory properties. Quite a number of the studies looked at various forms of foot and leg ulcers, in diabetics and non-diabetics. There is some evidence that propolis may help in wound healing for leg ulcers in humans, and in diabetic mice. It also helped in healing of cuts and excision wounds in mice, in diabetic mice. A study found that a mix of 30% propolis and 70% alcohol was better in aiding wound healing than 0.001% dexamethasone in a cream base in mice. Some research was also conducted looking at the effect of propolis on the healing of burn wounds. A study found that propolis helped in the healing of burn wounds in pigs as an apitherapeutic agent, although the results are mixed - a test with propolis extracts at 1, 2, 2.4 and 3.6% found that the 3.6% propolis gel could be cytotoxic, although the same result was not found with the extracts at lower levels. Quite a bit of the literature centered around mouth-related conditions, like wounds in the mouth, and so on. In this respect, propolis could be useful as a mouth rinse with anti-inflammatory and anti-bacterial effects, and a 10% hydro-alcoholic solution of propolis accelerated epithelial repair after tooth extraction but had no effect on socket wound healing, while another study found that propolis seemed to aid in oral wound healing. A third study found that a 5% propolis gel helped in preventing oral mucositis, and another study found that a mix of honey, olive oil-propolis extract, and beeswax also aided in healing oral mucositis. A study found that rinsing with propolis extract decreased bacteria counts and bleeding in patients with periodontitis. A propolis gel seemed to have anti-fungal effects in patients with denture stomatitis. Propolis was also found to reduce scratching in rats via anesthetic and anti-histamine effects, and as an anti-oxidant, it can offer some UV protection (in mice). And there were a few studies done on eye wounds - in rats, propolis was found to have anti-bacterial properties for acanthamoeba keratitis, and anti-microbial effect in rabbits with staphylococcus aureus keratitis. So to sum it up, it seems that propolis could potentially have beneficial effects - its anti-inflammatory, anti-bacterial, and anti-oxidant effects could help with various forms of wound and ulcer healing. The cons: Side effects of sensitization and allergies galore! But, while propolis seemed to have a fair amount of evidence detailing its beneficial effects, there is also quite a lot of studies showing that propolis can trigger allergies and sentitivities in people, as well. Some people may have an underlying allergy to bee by-products, so if you are allergic to any bee by products, including propolis, honey, conifers, poplars, Peru balsam, and salicylates, then just be wary when you use the product - you don't want to trigger your allergies! Since propolis (along with other bee by-products) are known allergens, there are quite a number of articles about both ingested (eaten) propolis and topical (applied to skin) propolis triggering allergies, but I thought since we're looking at a skincare product, I'd focus on the topical ones. Turns out, there are lots of people who are allergic to propolis - a number of the studies focus on beekeepers with direct and airborne contact dermatitis from exposure to propolis in their line of work, and a 2005 study notes that "more than 250 cases of allergic contact dermatitis due to propolis have been described" in existing literature, and also looked at psoriasiform dermatitis caused by propolis in a beekeeper (interestingly, the beekeeper intially thought that his lesions were related to honeybee stings - I'm guessing his reaction must have been so severe that he mistakenly thought he was stung!). In addition to beekeepers, there are also quite a few studies of individuals who ended up with various allergic reactions because they thought it would be a good idea to just apply propolis topically. Some documented reactions to this use of propolis included allergic contact cheilitis and perioral dermatitis, and allergic contact dermatitis. Other than adults, propolis was also shown to be sensitizing to both humans and guinea pigs, and also sensitizing in children. When applied to areas inside the mouth, propolis can cause oral mucosal ulcerations and burns in those who are sensitive to such products. So if you start seeing these reactions after trying out the product - just stop and discontinue use, and don't mistake the allergic reaction for a "purging" or "it's working" type of reaction. Interestingly, the level of propolis required to trigger any sensitivities or allergies in people seems to vary, too. In a study, 8 out of 9 patients that were patch-tested with propolis "reacted strongly", while another study that looked at 605 patients who were patch tested with a 10% alcoholic solution of propolis found positive allergic reactions to propolis 25 patients (4.2%). A study that patch tested 1255 children with propolis 20% petrolatum over an 8-year period (1995-2002) found positive responses to allergies in 5.9% of patch-tested subjects, with a significantly higher frequency in boys than in girls. A literature summary noted that "various patch test studies have shown different level of reactions", with sensitization shown at anywhere from 0.5% to 16.5%. So even among people who might be sensitive to propolis, the level of sensitivity will vary a lot - some will be able to use products with fairly high levels of propolis and be just fine, while others will find their allergies triggered with a much smaller amount of propolis. This could also be influenced by the base in which the propolis is carried, and a propolis preparation with an alcohol base might trigger a different reacction from a propolis product in a cream base. So would I recommend products with propolis in them? I guess it depends on how sensitive you are to bee products and by-products. If you have pollen allergies, or are allergic or sensitive to any other types of bee by-products, then I'd highly advise caution. But if you're not, then it could be worth checking out, for the anti-inflammatory and anti-oxidant effects. If in doubt, given that "propolis seems to be one of the most frequent contact sensitizers", a patch test is always a good idea! 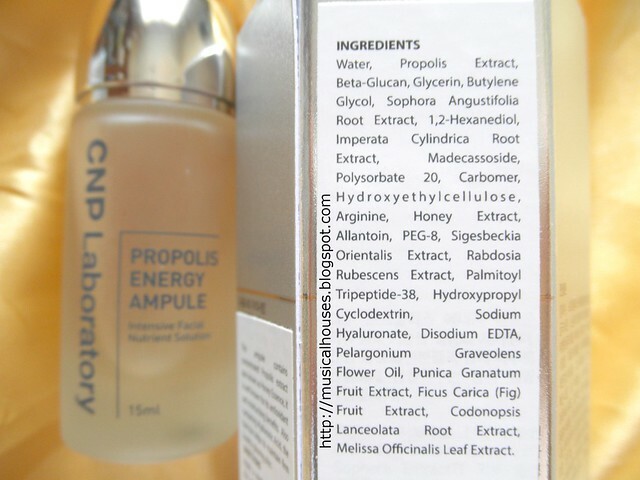 So, with that in mind, let's take a look at the ingredients list for the CNP Labs Propolis Energy Ampule. The key ingredients are water, followed by Propolis Extract, which we alerady know comprises 10% of the product. Therefore, everything else, is in amounts of 10% or less. The remaining ingredients include some humectants (Glycerin, Butylene Glycol), Beta-Glucan, a sugar which could have anti-inflammatory and anti-oxidant properties, Sophora Angustifolia Root Extract, which could aid in skin whitening but also sold as an anti-inflammatory ingredient. After this is the main preservative, 1,2-Hexanediol, and since preservatives are used in concentrations of less than 1%, which means they are probaby there in fairly negligible amounts. This would include the rest of the plant and other extracts (Honey Extract, Sigesbeckia Orientalis Extract, Rabdosia Rubescens Extract, Pelargonium Graveolens Flower Oil, Punica Granatum Fruit Extract, Ficus Carica (Fig) Fruit Extract, Codonopsis Lanceolata Root Extract, Melissa Officinalis Leaf Extract and so on), and would also include other functional ingredients like carbomers, emulsifiers and stabilizers. So looking at th emain ingredients, we know the product is indeed formulated with a significant amount of Propolis Extract (10%), and the rest of the product is formulated to have humectant and possibly some whitening and anti-inflammatory properties. Sure enough, owing to the formulation, the product itself was indeed light and watery, and sank in really fast into the skin. I didn't really distinguish any particularly strong scent. On my skin, the product was like any other light, humectant lotion or serum - absorbs fast, and layers well under skincare and makeup, because it doesn't have many silicones or polymers to interact with other products and do the dreaded balling and peeling. On me, it didn't trigger any allergies or sensitivities in my skin, which I wasn't expecting anyway because I'm don't have any allergies to bee by-products. Although if you do, I would certainly recommend a test patch, because the product has 10% propolis, which is high enough to cause skin reactions for those who happen to be sensitized by lower levels of propolis. So for me, it was a nice, light serum that seemed to hydrate my skin very well. And, now that I've talked extensively about the science behind propolis in skincare, the product's ingredients, and my own experience with it, I guess I'll close off with some comments about the packaging. I'm rather on the fence about the packaging. I mean, a dropper is hygienic and all, and definitely better than a tub or a jar, because you don't have to dig your fingers into the product, and it minimizes the product's exposure to air and light (which is critical so that any ingredients with anti-oxidant benefits, like the Propolis Extract, don't be rendered ineffective the moment you open the product). So kudos to CNP Labs for doing that. But, on the other hand, a clear glass bottle isn't the best packaging anti-oxidant products can have. A glass bottle is a great idea, but ideally it should be tinted dark brown to minimize the product's exposure to light. I guess in this case, I'd probably keep it in the box or in a cupboard or something, and only take it out when I want to use it. So, would I recommend the CNP Labs Propolis Energy Ampule? I guess it depends. I'm sure most people would not have any issues with it, but if you do happen to have any previous reaction to bee by-products, or think you have some sensitivity to bee by-products, then I can't stress enough the importance of a test patch! But if you're looking for a lightweight, watery serum that absorbs fast, and might have some anti-inflammatory effects, then this is worth looking into, and if you want to try out propolis in your skincare, then this has a generous level of propolis at 10%. At SGD$40.90 for 15ml, I guess it's not exactly cheap, but the price is in line with other serum/essence/ampoule products I've seen on the market, so it's not a ripoff either, and it's available at Guardian and online stores. The Bottom Line: If you're not allergic to bee by-products, this is a good lightweight, watery serum that absorbs fast and can have anti-inflammatory benefits. Wow! 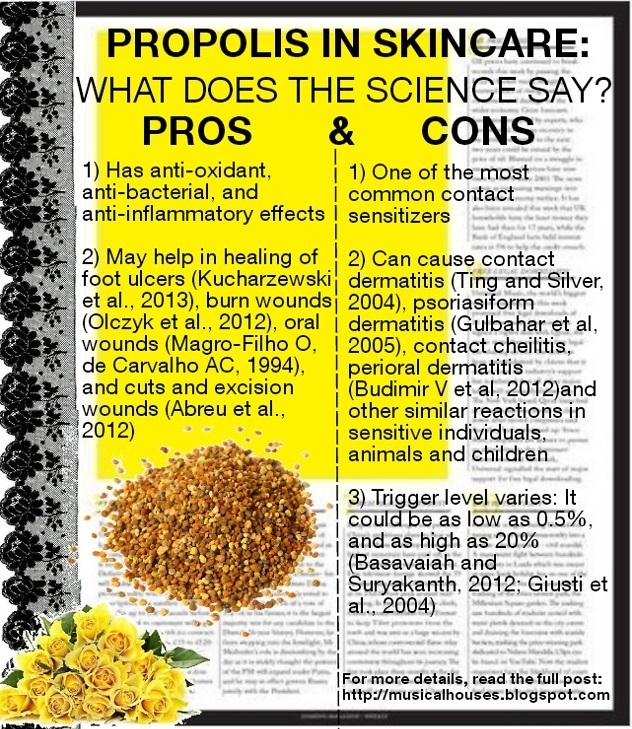 Thanks for the thorough overview of propolis! I'm definitely intrigued, but pity about the clear bottle. Your summary graphic is really pretty! 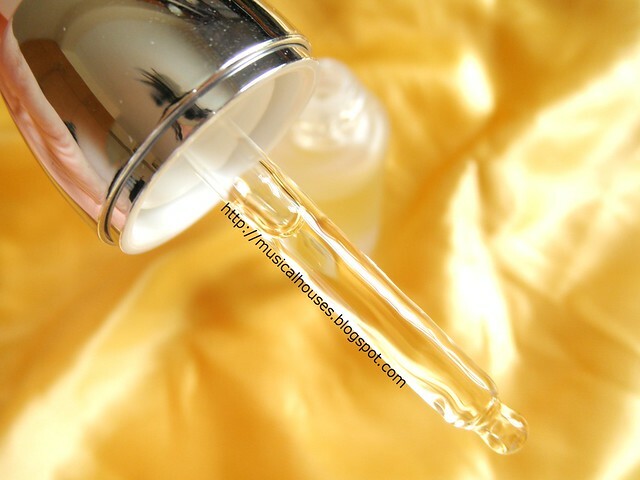 I've used the Propolis ampoule and their CNP whitening product for 2 weeks now and they've proven to be pretty food. At the doc's, a nurse told me I had very good skin but i don't know if it's the result of using CNP but nevertheless I've added them to my daily skin range of Hada Labo products because I like that the products I use are absorbed into the skin and not sticky.